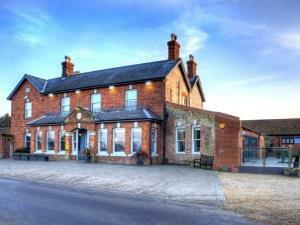 The Titchwell Manor Restaurants01485 210221 work RestaurantA stone’s throw from the stunning North Norfolk coast, Titchwell Manor is a beautiful, boutique country retreat offering destination fine dining. Owned by Margaret and Ian Snaith since 1988, the elegant former Victorian farmhouse combines traditional values with chic contemporary accommodation and spectacular, uninterrupted views across open marshes to the North Sea. You can enjoy celebrated gastronomy courtesy of Head Chef and rising culinary star Eric Snaith and his team. Eric’s flair and flavours have earned him a reputation for exquisitely presented, innovative, modern European food. The finest local ingredients and cutting edge-techniques have won the hotel three AA Rosettes and Eric himself the title of Eastern Daily Press Norfolk Food and Drink Chef of the Year 2012. A stone’s throw from the stunning North Norfolk coast, Titchwell Manor is a beautiful, boutique country retreat offering destination fine dining. Owned by Margaret and Ian Snaith since 1988, the elegant former Victorian farmhouse combines traditional values with chic contemporary accommodation and spectacular, uninterrupted views across open marshes to the North Sea. You can enjoy celebrated gastronomy courtesy of Head Chef and rising culinary star Eric Snaith and his team. Eric’s flair and flavours have earned him a reputation for exquisitely presented, innovative, modern European food. The finest local ingredients and cutting edge-techniques have won the hotel three AA Rosettes and Eric himself the title of Eastern Daily Press Norfolk Food and Drink Chef of the Year 2012. 12noon-5pm. 7pm-9pm. Sunday Roast Dinners; 12-2.30pm.